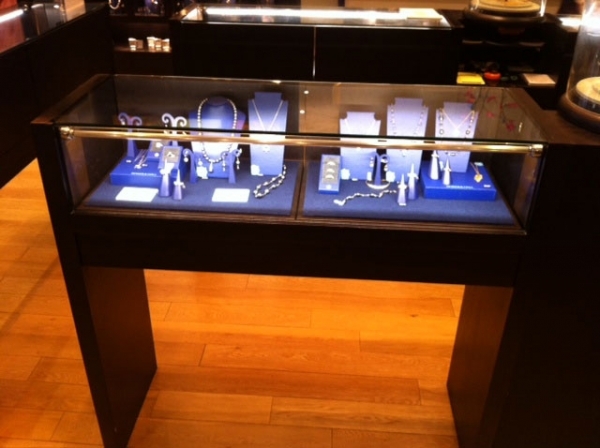 DPLED luminaires have been designed for use in a number of different applications in the retail and display sectors. The circular shape gives the ability to rotate the profile to direct the high output LED light exactly where you need it. This system can also be manufactured to form an integral part of your display and can support and illuminate shelving at the same time giving high output illumination directly to your products. Adds 'sparkle' to jewellery, watches & other merchandise. Any length up to 2500mm. Build a linear luminaire to your exact specification.